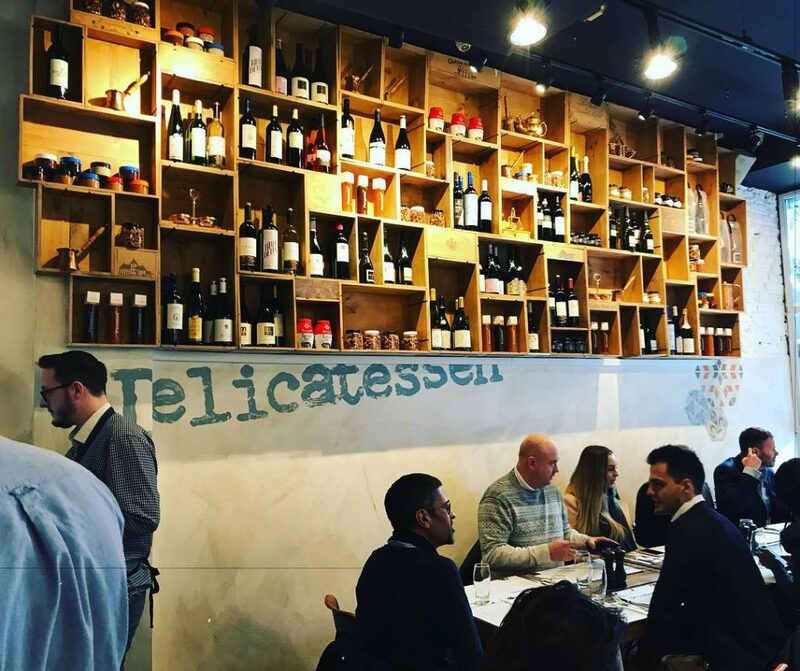 London’s new high-end kosher eatery, Delicatessen, which had opened up earlier in 2017 and has recently moved into a location in Hampstead, is serving up Middle Eastern cuisine with a twist. 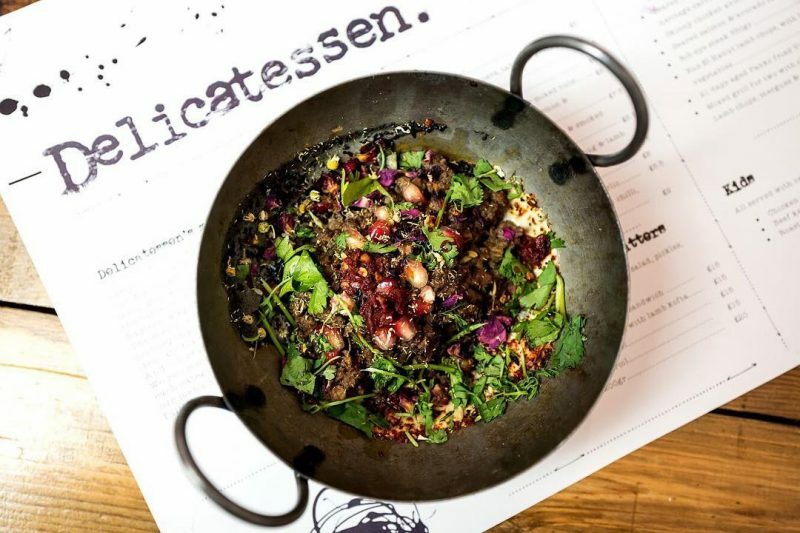 Dishes at Delicatessen are quite unique. The menu features appetizers (Nishnushim) that consist of dishes like soft polenta with truffle oil, asparagus, and king mushrooms; chopped rib eye, pomegranate, and pistachio; seabream, harissa, coriander filo cigars; chicken, saffron, nuts pastille; Lambshuka – lamb, herbs, preserved lemon & tahini & mixed nuts; and many others. 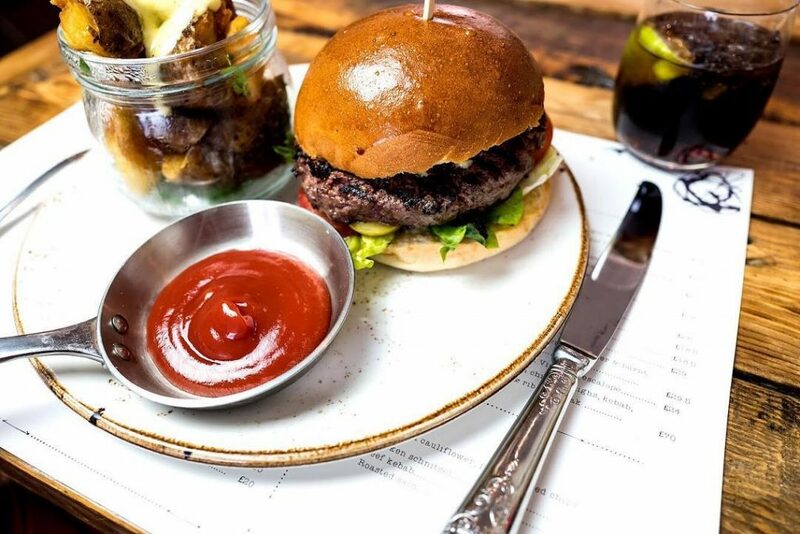 The Entree (Land and Sea) menu offers rib eye steak, seared duck breast (with celeriac puree, king mushrooms, and glaze), Old Jaffa lamb kebabs (with tahini, schug, chermula, and baby vegetable), and also much more. Hours of operation are Sun-Thurs 12-11pm, and Motzei Shabbat 6-11pm, Closed on Fridays. Delicatessen is kosher certified by the KF.